But everyday it’s difficult to make so many dishes. At least we can try for one different dish everyday. Its highly suggested to eat dark colour veggies, fruits and grains because of rich in nutrients. 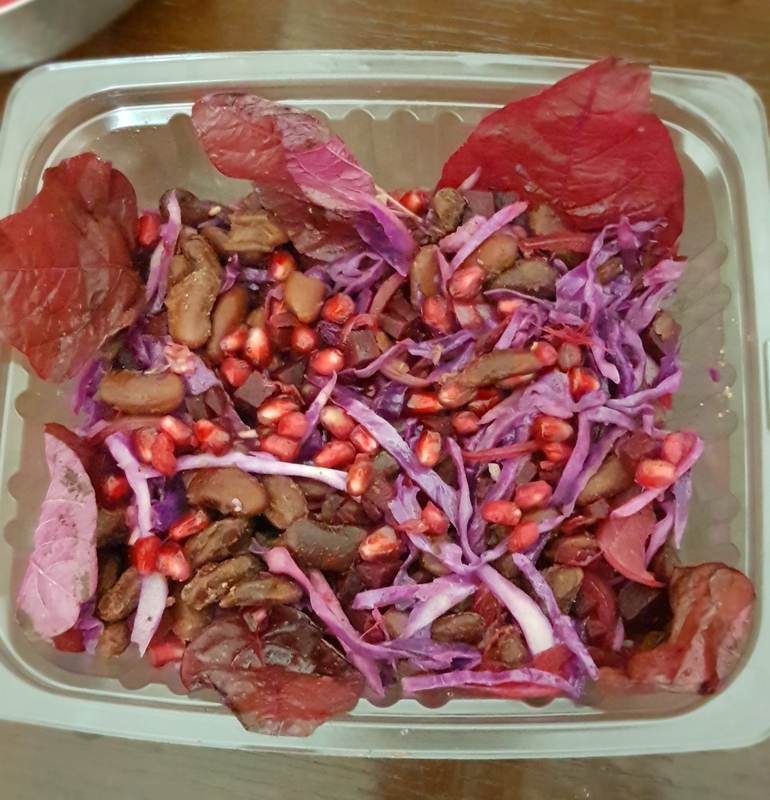 So sharing with you this different “Power Packed Purple” Salad today . -Kidney beans(Rajma) are awesome source of iron, manganese, folate, phosphorus, potassium and magnesium. 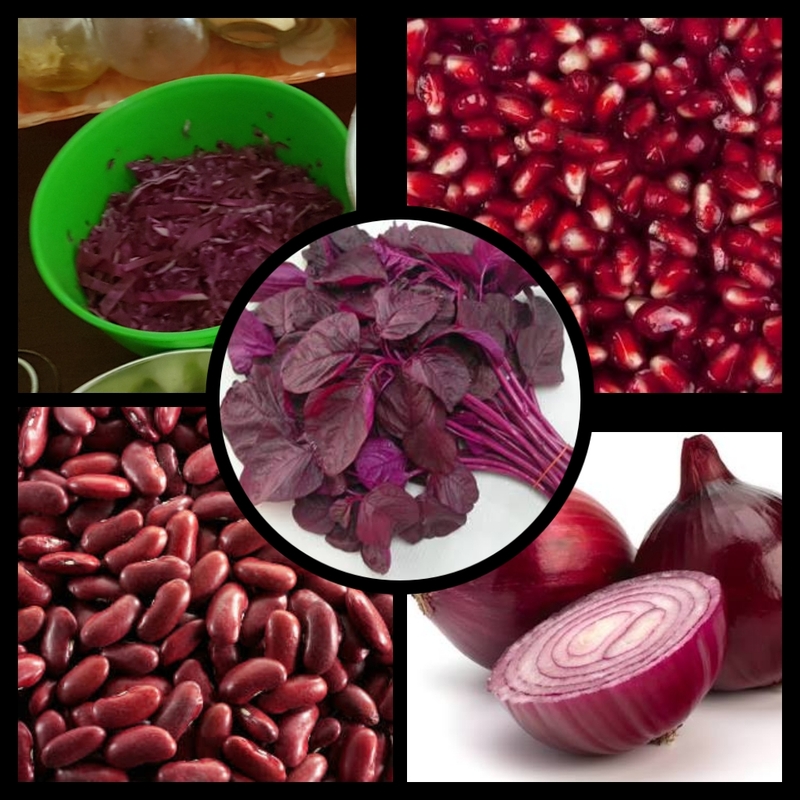 -Beetroot rich in calcium, iron and vitamins A and C.
Wash kidney beans 3-4 times then Soak kidney beans overnight(for 8-10hrs),discard that water & rinse beans with fresh water. Pressure cook beans for15-20 mins or till it cooked well. 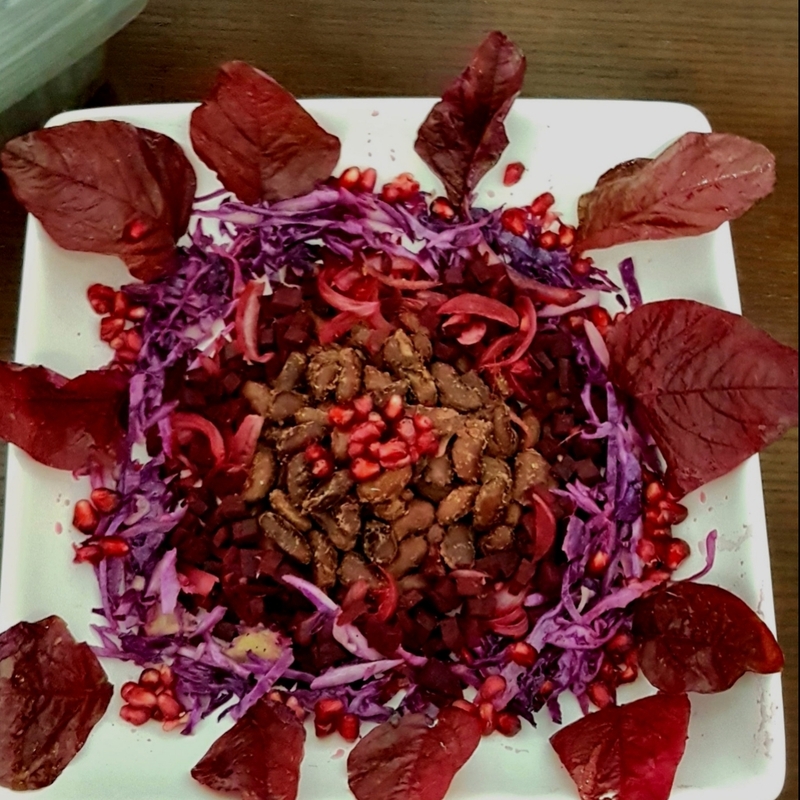 Power Packed Purple salad is ready . This goes very well with light meal also good and healthy option for party. Stay tuned for more healthy recipes. 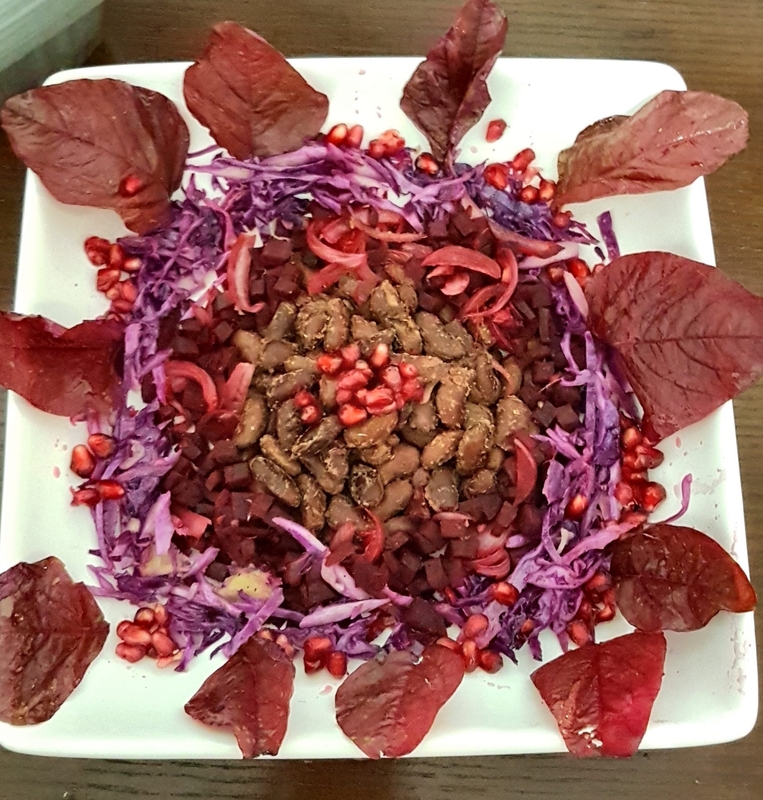 Try this recipe & let me know your feedback. ©2017 Bhavana Colourfulcanvas, All Rights Reserved. This got my mouth watering! Looks really good! Keep these interesting recipes coming! Great recipe ! Like to try it sometime soon !